Electricity and Water Affairs Minister Dr. Abdulhussain Mirza opened a conference on “Technology Innovation and Innovation in Legal Affairs in the Middle East and North Africa” at the Diplomat Radisson Hotel. Heads of companies, organizations, senior officials and more than 150 participants from various ministries and from outside Bahrain attended. Speaking at the event, the minister said in the past, the legal profession had been classified as a traditional profession and did not accept the use of modern technology. He said, however, this belief had now changed. The minister said lawyers had become law experts using technology at work. This included electronic search in databases on legal affairs and artificial intelligence which companies had recently begun using. This enables lawyers to delegate contract review task to a computer. He said the development of smart contracts could change based on a variety of information, and legal institutions preferred to employ legal experts familiar with modern electronic technologies. Dr. Mirza thanked the organizers of the conference, the Origen Group and MC Academy, and thanked the speakers and participants. 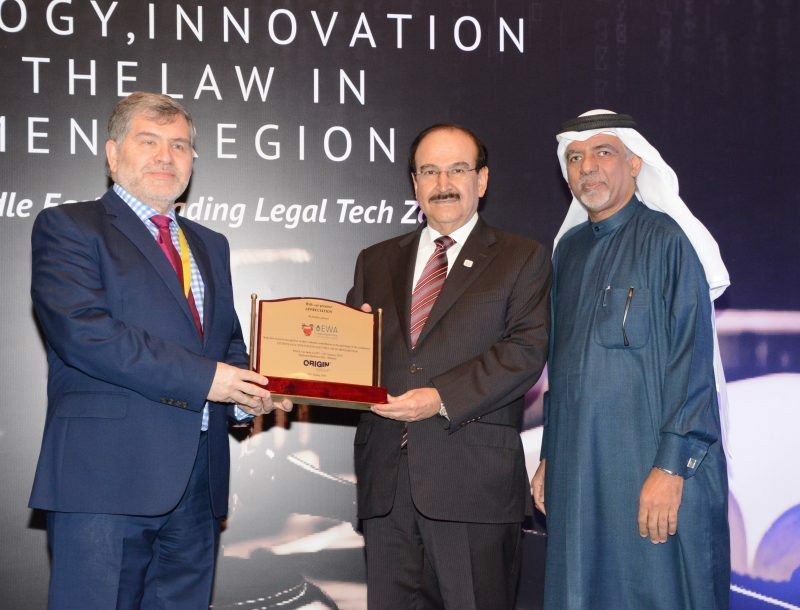 The conference is the first of its kind in the Middle East and North Africa region and highlights challenges and opportunities in the legal field through new technology and innovation that would contribute to the development of legal systems in the region. The role of women in legal innovation in the Middle East and North Africa region, as well as the establishment of a framework that provides the groundwork for the development of a follow-up system for lessons would be discussed at the Conference.